Who doesn't love a good prank? Taking advantage of unwilling and gullible bystanders is an obvious recipe for success—and some hilarious amusement. 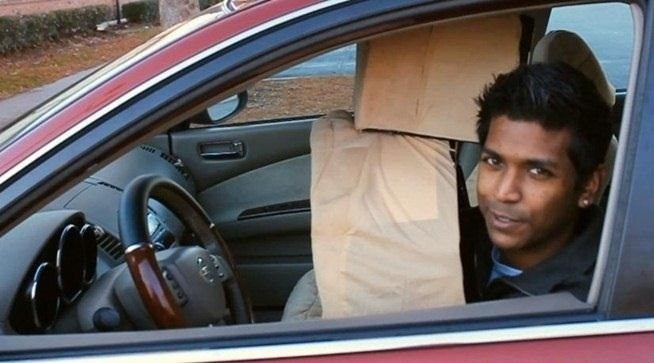 One of the best pranks I've seen in a long time was the Invisible Driver, which I featured last month. Created by magician and prankster Rahat, it involves a super slick-looking fake car seat costume, which is worn while rolling up to various McDonald's drive-thrus. As you can imagine, it totally freaks out the fast food employees. If you haven't seen the original video, check it out below. The employee reactions are absolutely priceless. 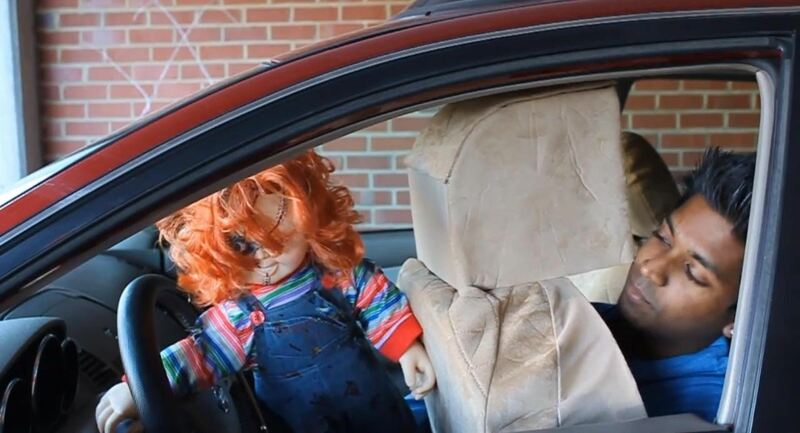 Now, to make this prank even better, Rahat decided to add the creepiest doll of all-time, Chucky, and place him in the driver's seat. The only thing that would make this better is if it were a ventriloquial Chucky doll, so the face and mouth would move. Anybody that can top this, please feel free to show me in the comments below. Can you do any better? 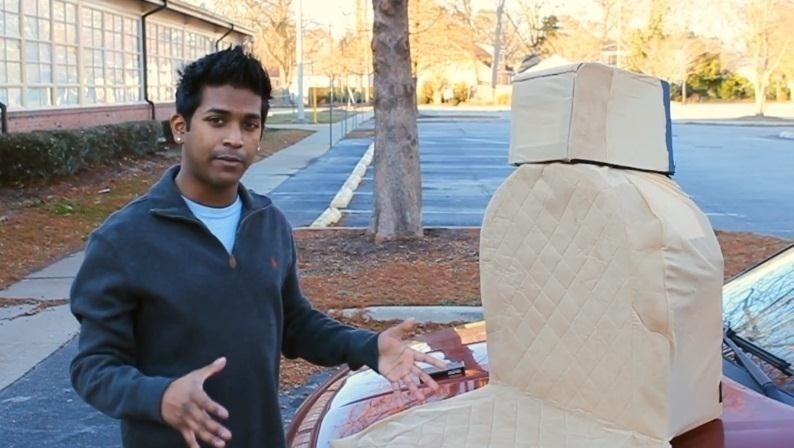 To learn more on how the car seat costume was made, along with some other hilarious drive-thru pranks, make sure to check out my previous post. 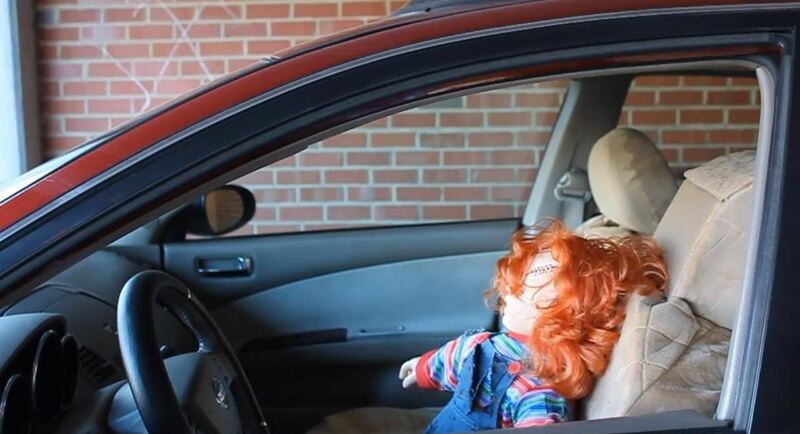 A good idea would to have this prank but tie someone up in the back, so the "hostage" would be seen as Chucky drives away. Muahahaha.